We recently had a wonderful experience selling our home in St. Michaels, Greeley, CO and we would highly recommend Harmony Brokers and Patty Johnson to assist you in a sale. I cannot say enough about her, she is very detailed oriented, friendly and easy to communicate with, always available and we saved a lot of money going with this Company, due to Patty being on top of our sale we sold our home to the first person who saw it, we then had a smooth finish right up to the closing, this was a very good experience for us! Patty is very knowledgeable, personable and professional. I had a great experience with her listing my home for sale, and got top dollar! I would recommend her to everyone I know!!! We were so fortunate to have Patty sell our home. Not only did we get full price, but she handled all the selling processes with such professionalism and compassion. It was so reassuring to have confidence in someone when dealing with such a big transaction. Thank you Patty! to successfully bring together the sale of our home, the purchase of a new home, and was able to get us a great deal on our financing. I would highly recommend Jeff at Harmony Brokers to anyone. While Harmony Brokers offers discount services which makes real estate transactions much more affordable, we still received a highly skilled agent who provided full end-to-end service. All our paper work was in order, and not a single thing was missed. Jeff assisted in making sure both closings occurred on time and without issue. As we looked we came across a random house that was for sale in a nice area that we thought would have potential, it wasn’t exactly what we wanted by any means but we thought that it would do, and in any case we are just calling out of curiosity. This when we met Valarie, of Harmony Brokers. She showed us the house and we thought that it would be a good place that we could fix up. She suggested that we came by the office and see what else is in the area. It was an easy thing to do not time consuming, especially with my schedule with work and three kids we where able to start looking around the area. We told them up front that it would probably be a hard thing for us to find a house that we would both like. I wanted something in the country and my wife something in the city. Also, to mention that we only had about two months to find this first home, get all of the paperwork done and be out of our apartment.We moved to Fort Collins the end of December 2010. We knew nothing about the area and so like most new families to area we started out by renting. After living in an apartment with three kids on the second level we found that even though our kids are for the most part well behaved, kids will be kids, and downstairs neighbors don’t see the simple pleasure of jumping on the bed as a child does. It was time to move. We started out by looking for another apartment to stay in as we had plans to eventually own our own home. We started to look having the onslaught of emails of different houses in the area coming in daily. We started to drive around and get to know the area and what parts we liked and what parts we did not like. We had to weigh all of our options with transportation, distance to work, what school, would we like our neighbors and countless other questions that go through a persons mind. After going through all of the information given to us spending most of our evenings and weekends trying to find the place we wanted to have our family over the next five, ten, fifteen years of our life we where able to find the place that the whole family was happy with. Finding the house you want is one thing, then starts the paperwork. If you have never purchased a house or signed a document that has a lot of significance behind it then imagine an office desk that is full of papers that you need to not just sign but read and understand. It may seem overwhelming all that it takes to buy a house. From when we put the first offer on the house to the time we closed the communication with Valerie and Jeff was prompt and the paperwork did not feel overwhelming. As I look back and think about what it took to get into the house it was a smooth and easy process. When ever there was anything that we did not understand we where able to receive quick and satisfactory answers to our questions. It was a fast and seamless move. We are very happy in our new home. There is nothing that we would have changed about the decision that we have made. We have been living hear for several months now and I have recommended Harmony Brokers to people who I talk to on several occasions. When the time comes that we outgrow this house we would gladly trust our house to these associates. Thank you for this opportunity to share our experience. Harmony Brokers is a great agency that really allows me to be competitive in many of my New Construction price ranges. In today’s difficult market, New Construction is often in the difficult position of competing with distressed and under-valued resale properties. The commission structure, as well as a competent staff who work hard to give people a high level of service allows me to narrow this disadvantage and is what has compelled me to use them as an agency. It is also very helpful as a New Construction Builder to be able to have the lending under the same roof so that I am consistently kept apprised of the loan on the property I am selling. New Construction is a difficult business in these strange economic times, and it takes nimble, competitive minded people and organizations to keep out ahead of the ever changing landscape. Harmony Brokers continues to succeed in both of these critical aspects of helping me be successful in my business.  My wife and I recently purchased a home in Severance Colorado and used Harmony Brokers for our lending. Being our first home purchase and unfamiliar with the process, Jeff and his team guided us through every step and truly made us feel comfortable in our decision. They gave us much needed guidance and really made our purchase a flawless one. Due to some unique circumstances we needed to close within a very tight time frame. Any road bumps we encountered were met with quick action and resolve, which put us at ease and gave us some much needed peace-of-mind throughout our purchase. We are now living in our home and owe much of it to the Harmony Brokers team. Thanks for your amazing work and getting us into our house. After about five months, my wife and I continue to appreciate the dedication given by the both of you. When there were obstacles that every home-buyer experiences, the challenges were managed in a professional and timely manner. The changes to the house that we requested were met, and the neighborhood is exactly what you assured it would be; family friendly. We can’t thank-you enough for getting things rolling and having the keys to the house within two months. Of all the houses that other realtors showed us, we know without a doubt that our house was the best suited for us. I strongly believe that other home-buyers will benefit from your professional services. Thank you for the excellent follow up since our first home purchase! We absolutely love our home and neighborhood. You were such a delight during the buying process. We knew that we could call you, and trust that you would do everything possible to assist us. The buying process was easy and nice, and thanks you for your diligence. I would definitely recommend “Harmony Brokers” to anyone who is looking forward to buying a home or selling their home. We look forward to staying in touch with you down the road. Thanks again for your professionalism and dedication!! In May, 2011, my wife and her friend decided to travel from Kansas City, Missouri, to the Fort Collins area to look around at the various neighborhoods in anticipation of eventually finding a retirement home in the area. The idea was just to look around and find those areas which were most promising and then return at a later time to finally purchase a home. This “window shopping” trip turned into more than I anticipated! Just a few days after my wife and her friend left Kansas City, I received a phone call that they had found our “Dream Home” and was it OK if she just bought it! Yikes!!! This was the most dramatic expansion of a “window shopping” concept I had ever heard of! However, trusting my wife completely I agreed that if she was convinced that this was the house she wanted, then go ahead and make the deal. This began a series of phone calls and finally a meeting with Valerie Scheffer at Harmony Brokers which turned out not to be a problem, but a true delight. She patiently answered all our questions, and honestly helped us address the many issues that come with the purchase of a new home. Rather than feeling like I was dealing with a sales person, I felt like we were dealing with someone who really was concerned about what we wanted and needed as potential home owners in Severance, Colorado. When we had concerns, Valerie addressed them. If she didn’t know the answer to a question, then she found out the answer and got back to us. If we needed answers from the contractor, she got them for us. Always pleasant to work with Valerie did everything in her power to make the purchase of our retirement home a pleasure rather than a burden. Finally, we closed on our new home on June 15, 2011, and once again Valerie was there to assist us with the closing. It was like having a trusted friend in the room with us. Our experience with Harmony Brokers and particularly with Valarie Scheffer was outstanding and they have our highest recommendation without reservation. Thanks Valarie! You were top-notch! In July 2011 I bought a house in Severance Colorado and received my lending through Harmony Brokers. I have been through a few real estate transactions and this was by far the smoothest! Jeff and Valarie were very easy to work with and were very quick to respond to any questions or concerns. It was very refreshing to see that in this day in age where many look to cut corners that Harmony Brokers were very meticulous and made sure that I was completely comfortable before closing on my new house. Thanks for everything!